Monday closed Tuesday and Wednesday Dinner 4 to 9 pm , Bar 4 pm to 12:30 am. Thursday Lunch 11 am to 4 pm , Dinner 4 pm to 10 pm, Bar 11 am to 12:30 am Friday Lunch 11 am to 4 pm , Dinner 4 pm to 11 pm, Bar 11 am to 12:30 am Saturday Brunch 10 am to 3 pm , Lunch 11 am to 3 pm, Dinner 3 pm to 11 pm, Bar 10 am to 12:30 am Sunday Brunch 10 am to 3 pm ,Lunch 11 am to 3 pm , Dinner 3 pm to 9 pm, Bar 10 am to 12:30 am. Metered parking is available on the street. Parking is available at Assembly Row lots as follows, Canal Street Garage at 449 Canal St. , S and P Parking 51 Assembly Sq. Drive and K-mart outdoor lot. These lots offer 3 hours free for parking. Orange line on the T , exit at Assembly Row. Exit the train and walk towards the mall on Great River Rd., go left onto Foley St. , La Cucina is on the corner across from the Columbia Store. 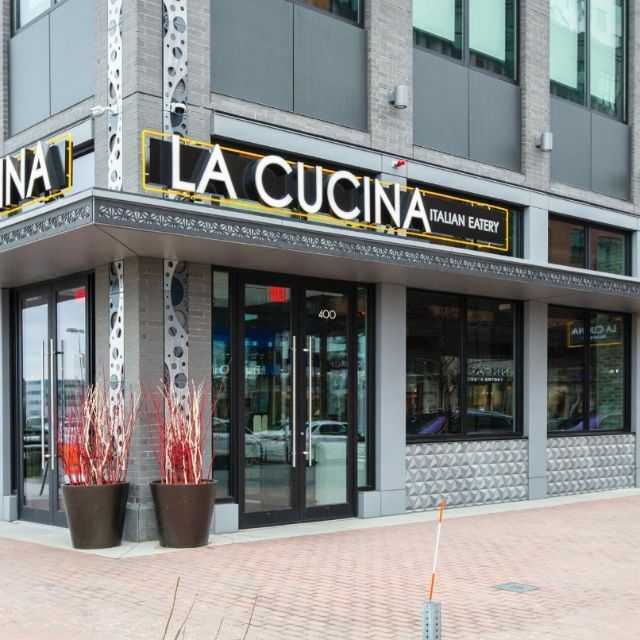 La Cucina, Assembly Row's newest restaurant is bringing fresh farm to table ingredients in an upscale Italian restaurant. We will be offering house made pastas, fresh local seafood, artisan pizzas as well as steaks and chops. 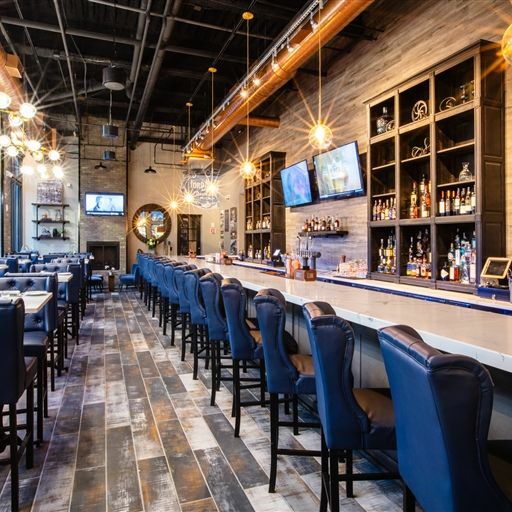 Bringing elegant and casual dining in an industrial chic setting. Hand crafted signature cocktails are offered in our dining room and our 50 seat bar and lounge area. We offer an extensive Italian wine list including selections from around the world. We really enjoyed our trip to La Cucina. The menu had good choices and the chefs were willing to accommodate some special requests from one of my friends. We enjoyed all 3 courses- save room for dessert! The service was a little slow, but they've only been open a couple weeks, and we weren't in any rush. I expect things will be a little smoother by May/June. With the very best intention, I wanted to like it more than I did. Had homemade gnocchi. It was fine but at $26 it should have wowed. I can get a delicious dish of that for $12 in my town. Server, while lovely, had no idea about wines or food. If you are going to bill yourself as upscale, and charge accordingly, more training is needed for staff. I give it a C but having said that, it does have potential. I was very pleasantly surprised by this place. Being Italian I don’t have high expectations of Italian restaurants and always assume their sauce will be full of salt, the chicken over cooked, and the cheeses to be pot quality. Everything was super delicious! The mixed drinks were well thought out and the ingredients were great together!! The sangria and limoncello spritz!!!!! We had the polenta fries, they were amazing and added something new and fresh to your normal apps. I had the chicken parm, I’m extremely picky about red sauce but this was delicious!! The service and atmosphere were also very welcoming and homey. We sat upstairs at the high top tables to be a lot more private. Can’t wait to go back!!! The staff was amazing and the food was to die for! Thank you so much for making my moms birthday a night she will never forget! First time trying this new place. Both of us had a veal dish. Was excellent. Also had arancini for an app that was very good. The issues were the service. It started fine but there seemed to be some type of employee meeting and after giving our order to the server, she then disappeared into that meeting. After about 25 min our app still hadn’t arrived when our server got out of the meeting and went and got our app. Our main course was delivered by someone else but as we were eating it we realized it was missing the side dish. The manager happen to stop by and we asked him about it. He apologized and went and got it. When we were done eating 10 min went by and we hadn’t seen our server since the apps got delivered so I flagged down another one and she said our server was in a meeting and she would get our bill for us. I blame the management for having a meeting while guests are trying to be served. We could see them all upstairs, than they moved to another private dinning area. The food was good so I’ll try this place again. But if the service is horrible a second time I’m done. The menú doesn’t describe all dishes as they should, when you order something that you at expecting in one way because of how is described they bring something completely different. Never helped after waiting 25 minutes. Busser came to give us water and we told her no one has helped us and didn’t matter. She didn’t get anyone. It was not busy and everyone else had help. Unsure why were we treated differently. The chicken parm (pollo parmiagana) was delicious. However, we had to wait over an hour for our food and ordered the worst bruschetta either of us had ever had. The perfect girls night! Our table wasn't quite ready when we arrived, but the manager and host staff were phenomenal, got us cozy seats by the fire, brought a glass of complimentary wine for all four of us and were so attentive! The service was wonderful, food absolutely delicious (highly recommend the arancini to start!) and we can't wait to go back! Great addition to Assembly! The food was excellent but the service was poor. Waited a very long time before we got to order and then each portion was slow to come out. The manager was apologetic for the service but we would go back when hopefully that part gets figured out as the food was very very good. We were seated and then no wait staff came near us or looked at us. After about ten minutes, I had to grab a staff person to ask for service. The staff seemed totally disorganized. A staff person came to our table while waiting for our food to ask for our e-mail address and then proceeded to talked about herself. Very strange. For an Italian restaurant, it was way overpriced. My pasta boldness was very good. Too many negatives to return. Called several hours before the reservation (which was for 6pm) to try and add two people. Was told that it would push the reservation out to 930pm. This is a bit unusual (generally going from 6 to 8 people isn't a huge ask, but every restaurant has their own policies), but it became frustrating once we noticed that at no point during our dinner did the restaurant get more than 75% full. In fact, when we arrived the restaurant was much less than half full and if they had immediately accommodated our early reservation for 8, it would not have impacted the seating for the rest of the evening at all (full disclosure, I have 15+ years in food service). To make matters worse, our party of 6 was sat in the "family section." The purpose of keeping a separate section for parties with small children is so they can enjoy their evening without worrying that the kids are annoying the other guests, and the other guests can eat expensive entrees without being disturbed by yelling, crying, and running around. Why they thought it was appropriate to seat six 30+ y/o adults back there is something I will never understand. Our waiter was good, though drink orders were very slow (don't know whether that was on him or the bar) and my tomahawk steak was pretty good - almost "steakhouse good." The antipasta platter was an insanely good value. But, the rest of the menu is expensive, which isn't a bad thing - Assembly is lacking a good, high-end restaurant. But you can't charge premium prices and miss so poorly on atmosphere and service, particularity the service that comes from front of house staff *other* than the waiter. great food and service. only bad thing was small and very, very expensive drinks. This restaurant is visually stunning with a lovely bar area, complete with fireplace. I really wanted to love it as Assembly Row is long overdue for a top notch restaurant with great service but the food was not well prepared (overly breaded and deep fried veal chop, for example). The service was a little spotty, too. 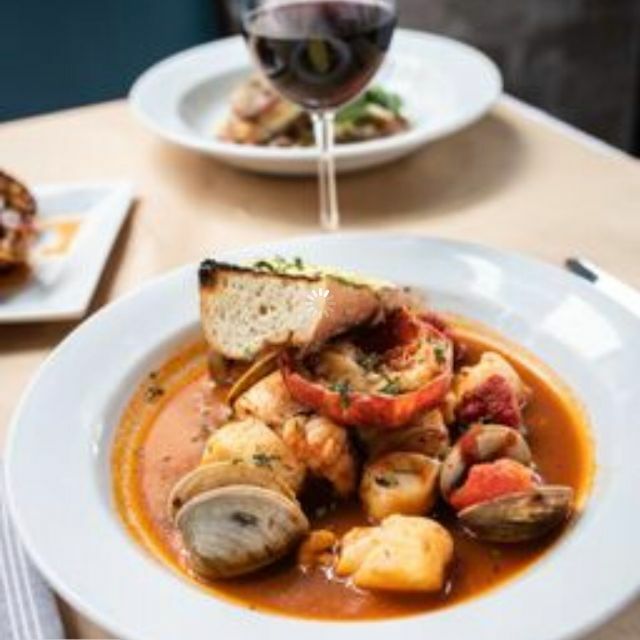 Assembly Row restaurants, in general, are unimpressive, and unfortunately, La Cucina does not raise the bar much. Great atmosphere, attentive staff. Very good food and drinks! Overall we had a great experience. Our waiter Nick was very nice and attentive. The food was fantastic! We were a little disappointed that there was no more Tiramisu but I guess we didn’t need to eat dessert 😜 I would definitely go back again. Fabulous food, beautiful space, and outstanding service...........life is good !! Food service and atmosphere where all great! So excited to have a piece of the North End outside of the North End with parking! La Cucina was absolutely delicious. The ambience and décor was elegant casual - warm and comfortable, yet trendy and modern. Service was impeccable. The young waiter was personable, knowledgeable and attentive. When they didn't have the bottle of wine I asked for, he suggested a replacement that was actually slightly less than the original. I didn't know that until the bill, but feel like that's rare as most places then upsell you. The food was delicious. We started with the rigatoni Bolognese as an appetizer split amongst us as suggested by Jeff, the owner. It was amazing - flavorful, creamy, authentic, out of this world! I can't wait to go back for more (that might become my guilty pleasure for take out after a class at Fit Row). We followed that with the swordfish, cod and chicken parmesan. All outstanding. The fish was fresh and light tasting and the chicken parm was clearly scratch made with the chicken drum still attached. The best chicken parm I've tasted in long time. We finished with the limoncello spritz which was light and refreshing and a perfect way to end the meal. Everything was top notch. And I can't say enough about the staff. Every person that attended to us that night was professional, friendly and there to make us feel welcome - from the two women at the hostess stand, to our waiter and other waitstaff that helped out, to the manager and the owner. A true delight! The general manager greeted us at the door, and the owner did later on. The general manager checked in several times. All the staff was attentive. The restaurant had a great industrial rustic vibe. I would definitely go back regularly. The food was delicious! And, to be honest, I'm pretty picky about Italian. I was here with a group of 8 and Alicia took great care of us, making sure she gave love to both sides of our table. If anything could be improved, it'd be the wait times for beverages and entrees. We waited 30 minutes for our beverage and the over an hour for our entrees. The space is beautiful but the service is awful and the food was simply “okay”. Pretty overpriced for the area and for the food options given. Overall they're a little pretentious. The food was tasty, that's for sure, but not worth the $30 to $50 plate range they are offering. Also, I received a $2 up charge for drink on the rocks, which I've only experienced in a true fine dining restaurant. I paid the charge, but I was confused by it- this place isn't the Capitol Grille. Wait staff is definitely still learning the ropes, and some lack enthusiasm/friendliness. I don't think I'd be back. If I wanted to spend that kind of money on a plate, I'll head over to the Seaport for a better experience. Get ready to wait, even with reservation we had to wait for our table 40 minutes. The food its ok, definitely not worth the waiting time. 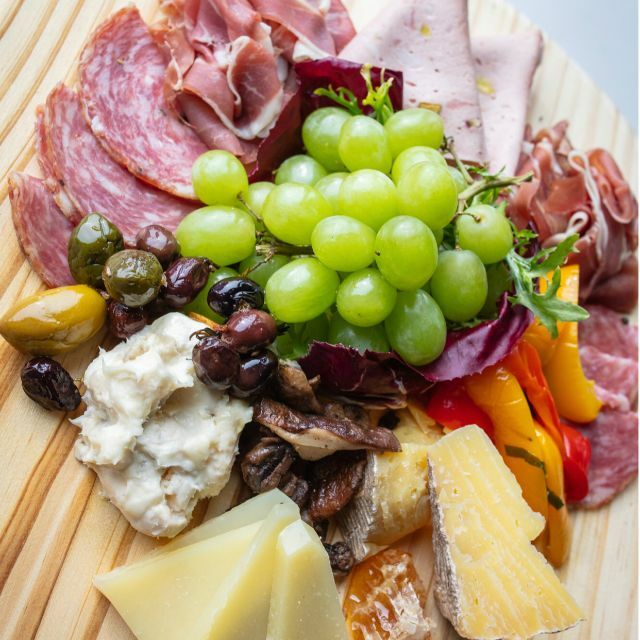 Food was OUTSTANDING - Richard, and all of our service staff, were so helpful in our wine and food selection. Will be back for sure! 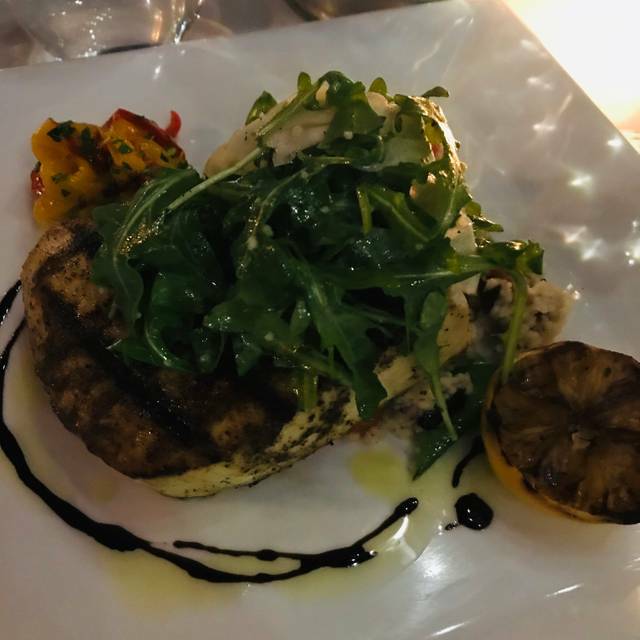 We had a most enjoyable time at La Cucina, and the staff were amazing and very attentive. Absolutely a delicious addition to Assembly Row with a terrific staff and great food ! Friendly and attentive service was the best feature of our evening meal at La Cucina. We arrived early on a Tuesday night and the restaurant was moderately busy, but rapidly filled up midway through the meal. There was a good wine list (primarily Italian wines) and a good selection of food. Hot olives as an appetizer were excellent, and the mushroom risotto was really worthy! Our meal was definitely a good value, and our server Nick was both helpful and unobtrusive. A great neighborhood find! I rarely write a bad review but this will be an exception. 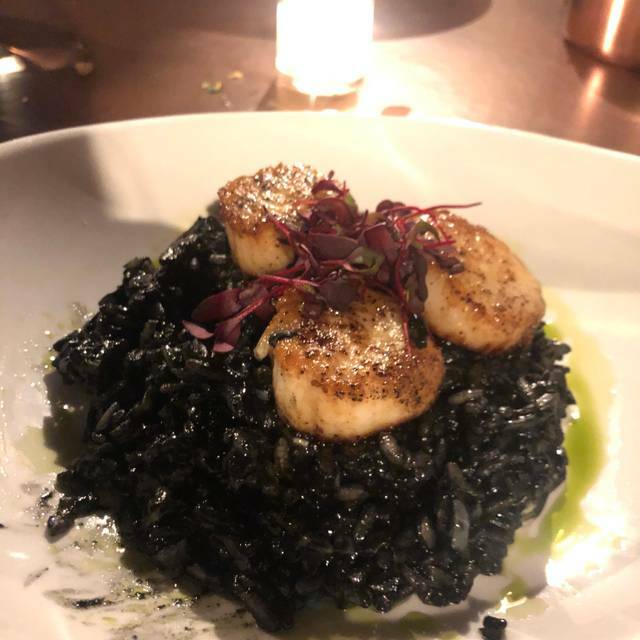 We loved Carmen (it was our North End favorite) and we were so excited to try La Cucina. We sat at the bar which is huge and there was one bartender (the bar manager). As the place filled up, we saw less and less of her. Our water glasses were empty, we couldn't get a drink, etc. We ordered appetizers and at that point another bartender came on and he stood in front of us talking to another employee and did not look at us once. I finally caught his eye and asked him to refill our waters. He refilled mine half way and didn't even try to refill my husbands. We were going to order entrees but we were so disgusted at that point that we just got our check. A bar that big needs a few servers. Place is great. The decor is awesome. There is an upstairs to the place. I got the Swordfish, which was delicious and my bf got the three meat pasta and that was great as well. We started with the green peppers but that wasn’t our favorite. Would not get those again. Expect Boston prices. Would definitely go back. For Italian restaurant it didn’t give many Italian favorite options. They have veal three different ways but when asked if they could do that with chicken, waiter immediately said no! Food options were overpriced in my eyes. My tuna was cold and lacked flavor. Service was okay in beginning but when I noticed he had one less table, he was more attentive and friendlier. La Cucina is not what I expected it is very over priced a Pizza costs about $14.00 and a little bit of pasta for a kid costs $10. Not kid friendly. Food was very poor my daughter had Eggplant Parm she said it was awful, my 9 year old granddaughter wanted chicken Pam but had to have pasta instead because they didn’t serve chicken Pam. Service was good but the noise level for a Friday night at 5:00 was crazy. I would not recommend this restaurant. It is over priced, poor food, and awful spot in assembly row. Not happy. Will never go back again. Absolutely delightful and delicious ! I can't wait to return soon again . . . to enjoy more of their wonderful items. 30min to get half our order. Waitresses were not friendly. Manager was very friendly to compensate for this.